Lois K. Lippold, PhD is President and founder of the Douc Langur Foundation and has spent more than 40 years in scientific research and conservation activities focused on Douc Langurs in Vietnam. She conducted the first field study of doucs in 1974 during the Vietnam War (referred to as the American War in Vietnam) at what is now Son Tra Nature Reserve. She published the first field study of red shank doucs in 1977. Lippold’s contributions have come from both field and captive populations. Since being invited to return to Vietnam by the government, Lippold and the DLF have concentrated on scientific field studies and conservation activities focused on sustaining the endangered Douc Langur populations. George Hoover, Sr. Secretary is founder and president of Torrey Growth and Income Advisors and has been a registered investment advisor for more than 20 years. Before starting his career in wealth management, George served two tours in the U. S. Foreign Service gaining international experience in a number of posts including Brazil and Portugal. Mr. Vu Ngoc Thanh, retired member of the faculty of Biology at Hanoi University of Science, Vietnam National University is one of the leading primatologists in Vietnam. He has worked closely with Dr. Lippold since her return to Vietnam in 1993. Together they have surveyed all parts of the country to establish the location of viable douc populations so that they can be conserved and protected. Mr. Thanh has worked for more than 30 years in animal conservation. Ramesh Boonratana, PhD is a leading biologist, primatologist, anthropologist and consultant from Thailand who has spent many years conducting research and provided management and training in biodiversity conservation, protected area planning and management. Dr. Boonratana conducts trainings and capacity development for protected area staff and stakeholders and is an expert on conservation and natural resource management, ecotourism and sustainable tourism and community-based tourism. Luwain Ng is the financial administrator for Torrey Growth and Income Advisors. Luwain is a licensed stockbroker and has been employed as an investment executive and wealth management administrator since 1999. Before coming to Torrey Growth and Income Advisors, she served as operations manager for AG Edwards and other wealth management firms. Nancy Barnhart, MFC, CEAP is an Employees Assistance Program Center Manager for a leading Health Care Organization. She has great expertise at working with people of all backgrounds and is an expert in the administration of complex social and behavioral outcomes for both rural and urban societies. Julie R. Fischer, DVM established the University of California at Davis Nephrology and Hemodialysis Service in San Diego and is a nationally recognized expert in upper and lower urinary tract disease. She has been a Diplomate of the American College of Veterinary Internal Medicine since 2000 with the specialty of Small Animal Internal Medicine. 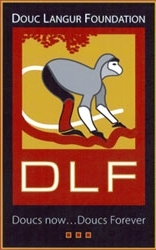 Site contents are copyrighted by DLF © 2017 - The Douc Langur Foundation - All rights reserved.